To provide quality, cost-effective alternatives to overcrowded correctional facilities and to develop programs which encourage the active participation of courts, communities, victims, and offenders. The Indiana Parole Board considers parole at the expiration of a minimum term for indeterminate sentence prisoners by the Board, which also acts as the Governor's Clemency Commission. 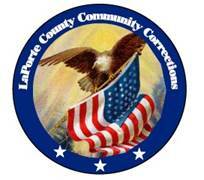 The Division of Community Corrections, under the Department of Corrections, supervises adult and juvenile parolees through district offices that serve individual counties. The counties under supervision of the Judicial Conference of Indiana administer probation services for both adults and juveniles.